A "think narcissist, think male" blind spot may prevent coaches from looking for narcissism as a possible explanation for behaviour in women leaders. "Think narcissist, think female"? It sounds counterintuitive, but women leaders, too, can have a narcissistic personality. Yet it's a different kind of narcissism with different implications for leadership development. Let's have a look at how executive coaches should adapt their coaching to support such individuals in their development. (Caveat: this blog focuses on women leaders, who are effective and whose narcissism gets in the way of continued growth. Individuals whose narcissism requires psychotherapy in order to be able to function are expressly excluded). What is more, this blog provides insights for Executive and Leadership Development Professionals to customise leadership development to the individual strengths and weaknesses of women in the talent pool. Whereas on balance narcissistic personality traits are more common among men, two traits are as frequent among women (Grijalva 2014): Grandiose/Exhibitionism ("I like to be the centre of attention") and Vulnerability ("Am I really good enough?") (see previous blog on narcissistic female leaders). We will focus our attention on the latter, Vulnerability. As a narcissistic trait it is a fairly new discovery, difficult to detect, and with particular implications for coaching women leaders. Vulnerability is marked by low self-esteem, anxiety, feelings of inadequacy, neuroticism, and introversion. In small doses, and provided the leader does not hide it, vulnerability can make it easier to be an authentic leader (Goffee 2000). But in larger doses it obviously does not contribute to leadership effectiveness. The Superwoman ("I can do it all"): through hard work aiming to be successful in her career, as a mother, and as a wife at the same time. The Perfectionist ("No one but me can do it. "): highly focused on the quality of what she chooses to do, aiming to meet self-imposed superior performance standards. The Lenient Leader ("I cannot ask someone else to do it"): tolerant of underperformance to avoid negative feedback. When it comes to coaching the narcissistic woman leader, the methods that apply to coaching narcissists in general are helpful. At the same time, coaches need to be aware that there are some particular challenges. It starts with the diagnosis. As an Executive Coach, how do you detect a woman leader with a tendency towards narcissistic vulnerability? Self-awareness is important, for as coaches we are not free from bias. Coaches may be prone to relate to people with narcissistic tendencies in a certain manner. A "think narcissist, think male" blind spot may prevent coaches from looking for narcissism as a possible explanation for behaviour in women leaders. Women coaches, who subliminally risk identifying with the gender of their client, need to be particularly vigilant not to overlook the possibility of narcissism in their assessment. All three types, the Superwoman, the Perfectionist and the Lenient Leader have problems with delegation and to some extent with developing a successor. Tell-tale signs can also be the reaction to feedback: false humility or "humblebrag"; underestimation or focusing on negative feedback; self-sacrifice or underleveraging staff resources. This is not to say, that if the coach observes such behaviour, it automatically means a tendency of narcissistic vulnerability. However, it should prompt the coach to investigate further - by an autobiography exercise, an in-depth interview or a personality test - to see if a propensity for vulnerable narcissism may be at cause. Recently, I worked with a Superwoman named Sun, a woman leader from mainland China. Sun had taken her family to Europe after being recruited for a senior position upon graduating as an MBA. Sun and her husband, an accomplished researcher, were both only children, following China's one child policy. Taking care of both the parents and the in-laws back in China fell to Sun. She was also very involved in the education of their young daughter and running the household in Munich. Her husband had found a job as a professor. The HR Director felt that Sun was challenged at work. Not sure what was going on, she suggested to Sun to engage a coach to accelerate her integration. The strain was beginning to take a toll on Sun's physical well-being. Working in a matrix organisation, her 360° report revealed that her peers, her direct boss and her functional supervisor were missing strategic input. Her direct reports were longing for more responsibilities. It seemed that she was missing out on networking opportunities. For Sun it was no question that she should look after all her responsibilities. Her pride in managing all this was shining through her humble demeanour. She consequently felt hurt by the feedback, which made me realise how important positive results were for her psychological well-being. As far as Perfectionists go, Patricia certainly fit the bill. A principal consultant in a professional services firm, she came to me in a situation of distress. Patricia was feeling overloaded and inadequate at work. She made long hours and had built up a large number of untaken vacation days. She fretted about the quality of the presentations and reports for the clients. She prepared each client event in minute detail. It seemed Patricia was close to a burnout. She was convinced that she ready for the next step, yet at the same time was afraid of being forced out of the firm for not meeting the performance benchmarks for a promotion. Louise, a Purchasing Director of a medical appliances company, participated in a leadership development programme. She was rather anxious about reading her 360° report which was to be discussed in the group coaching session. After opening it, she was relieved with the responses from her staff. The ratings were high and larded with comments like "she is so supportive", "Louise is so understanding of my personal situation", "I never had such a flexible manager. Please continue! ", "Her door is always open". Louise's manager, on the other hand, drily remarked: "I look forward to seeing Louise continue her progress towards building a high performing team." The coach can help the vulnerable narcissistic leader to refocus her energy away from avoiding being hurt by negative feedback or disappointing results. And support the leader in developing more constructive leadership strategies. 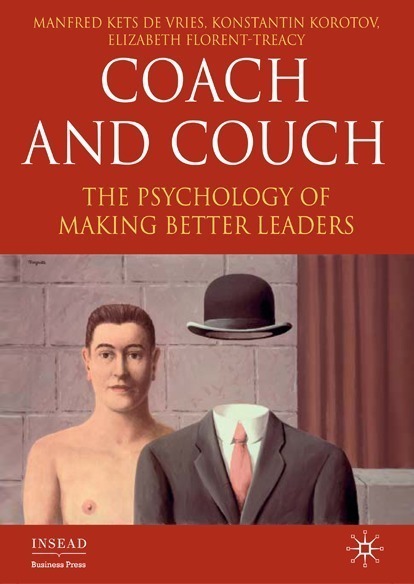 Creating commitment for coaching is difficult with narcissistic leaders, male and female alike. They will seek coaching only when they are faced with a major crisis, like Sun or Patricia, or when they are "forced into it", like Louise who was part of a cohort of leaders that her employer put through a leadership development programme. It is hard going to coach a narcissist. At the end of the day, even vulnerable narcissists think highly of themselves and find it difficult to see a need to improve. The difficulty for the coach will be not to mistake false humility for underestimation. Vulnerable narcissists don't underestimate themselves, they are afraid that others might. They may just be trying to manipulate the coach into telling them how good they really are. A working relationship based on trust between coach and client is key. Narcissists, and certainly vulnerable narcissists, have adverse reactions to anything that disagrees with their positive sense of self. Coaches need to be careful with giving feedback and expressing disagreement. It should be absolutely clear, that the coach has the interests of the client in mind and not those of, say, her employer. What is more, egocentric as they are, narcissists will be motivated by improving their leadership behaviour out of self-interest rather than for the benefit of their followers. It would be important for the coach to frame development objectives in those terms. As vulnerable narcissists shun negative feedback, it is important for the coach to focus on and help collect positive feedback, rooted in real behaviour of course. And to put a positive spin on negative feedback (Bartolomé 2007). Now back to the three examples. During the coaching, I suggested to Superwoman Sun to map her various roles in her private life and her professional life to see where she spends her energy and what the return of investment was. We then discussed how Sun could empower her staff to free up more time for her strategic thinking without reducing the standards of performance of her team. We also discussed how she could delegate more on the home front, to gain time for herself and for networking. The anticipated improved perception of her leadership effectiveness encouraged Sun to put this plan in motion. Together with Perfectionist Patricia, we looked at the results from the firm's performance evaluation process. The actual feedback from her boss, the managing partners and her peers was unequivocally positive. Hence, Patricia's self-assessment was objectively off. However, she was obsessed with the few statements where she was asked to improve. She dismissed the majority of positive evaluations as well as the fact that she met all her performance objectives. She was at risk, though, of self-sabotaging her chances for promotion. In her interactions with members of the management team, she gave signs of feeling insecure and had received feedback to that order. A personality test and an in-depth interview revealed an overly self-critical attitude, a dislike for detail and an upbringing that punished errors rather than rewarded positive results. Discovering that her own performance benchmarks were higher than the firm's helped Patricia get out of the doldrums. Seeing the validation by others for what it was reduced her anxiety. Delegating tasks to staff members good at dealing with detail got her better results while reducing her time in the office. When I asked Lenient Louise to reflect on the ratings and the comment from her supervisor, she went back to talking about her team. Upon my insistence, she said that her boss was probably referring to some delays of her team in reaching its objectives. Immediately followed by expressing her understanding for the professional and personal challenges that some of her staff were facing. Moreover, she was afraid that some could leave the company if she would toughen up. Explaining the concept of "tough empathy" (giving staff what they need rather than what they ask for, Goffee 2000) helped Louise embark on a path of setting and keeping boundaries. Motivated by the perspective of receiving even more positive feedback, Louise worked on her development actions. Her staff continued to value her as a leader and she gained a positive perception from her boss. Coaching the narcissistic woman leader is a complex affair. As women tend to be less narcissistic overall, they are more likely to show signs of humility, underestimation or even lower self-confidence when talking about themselves. Some of that behaviour, however, may hide a vulnerable narcissistic tendency. In such cases, a different coaching strategy is called for. It takes a highly sensitive coach able to walk on eggshells to make it work. Bartolomé, F. & Weeks, J. (2007). Find the gold in toxic feedback. Harvard Business Review April, 24-26. Goffee, R. & Jones, G. (2000). Why should anyone be led by you? Harvard Business Review, 78(5), 62–70. Paul’s concise overview of narcissistic female leaders is very helpful to explore ways of building rapport at a granular level by really understanding and intuiting where the client is. Getting the starting point of a coaching track right can be challenging but once that is established and agreed with the client, Paul’s approach lays out very useful ways to guide the client out of her shell and be comfortable in a wider playing field. Can a woman leader be a narcissist? "Think narcissist, think male"? A further addition to our narcissism blog series, this blog shows that women leaders, too, can be narcissistic. Yet it's a different kind of narcissism with different implications for leadership development. Three types of narcissistic women leaders - the Super Woman, the Perfectionist and the Lenient Leader - are examined. "Adversity to develop endurance, courage and character"
In the perfect storm our world is currently experiencing, we need to develop leaders with character, people who can deal with complex and difficult situations and act as forces for good. Adversity is one way to develop endurance, courage and character. Without it, we do not really know what we are all about, nor do we appreciate the limits of our character.